Dr. Seuss Mega Mug, 15 oz. Home / Gifts & Souvenirs / Drinkware / Dr. Seuss Mega Mug, 15 oz. 15 oz. 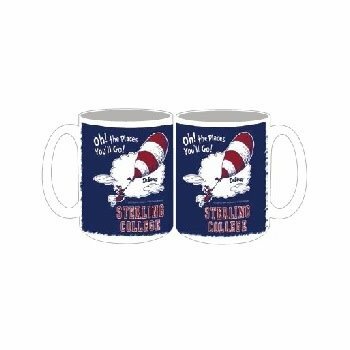 ceramic mug with wrap-around Sterling College/Dr. Seuss graphic. 15 oz. ceramic mug with wrap-around graphic.